Look for the new issue available on newsstands by Monday, April 15th. Dirt. Soil. Both words contain four letters. But as a gardening friend reminds me, they are very different. Soil is what we prize because of its life-sustaining properties, the habitat it provides for insects, worms, microbes, and fungi that nurture the roots of plants. While the science of healthy soil has been neglected in recent decades, a movement known as “regenerative agriculture” is gaining attention for the possibilities it offers to produce more nutritious food, slow down erosion, and, of all things, mitigate climate change. It turns out that our soils are ‘keepers of carbon” that become “releasers of carbon” when misused and degraded. When soil becomes “dirt poor,” it’s bad news for our food system and for the environment; too much carbon dioxide in the atmosphere is one of the culprit of climate change. If there’s a theme for this issue of Whidbey life Magazine, it’s the earth we stand on and the footprints we leave. I’m filled with gratitude for our writers and photographers who celebrate the earth we stand on and the earth we call home. I hope this issue gives you, dear readers, reasons to celebrate, too. P.S. Although this is hardly a postscript! Claire Moore, our graphic artist since Day One. has recently retired. 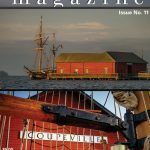 Immense thanks to Claire for assembling all the pieces of the puzzle that is Whidbey Life Magazine, year after year, for ten issues. Fortunately, Claire has consented to stay on as a consultant, giving our team the benefit of her experience, sense of design, and attention to detail. I expect she and I will go on having our passionate but always humorous-discussions about semicolons, fonts, and other arcane matters. 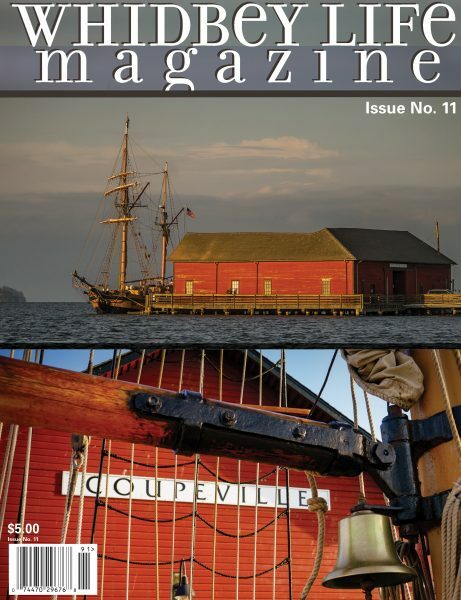 Cover Photos: Wooden ship at Coupeville Wharf by David Stern of Whidbey Custom Photo.